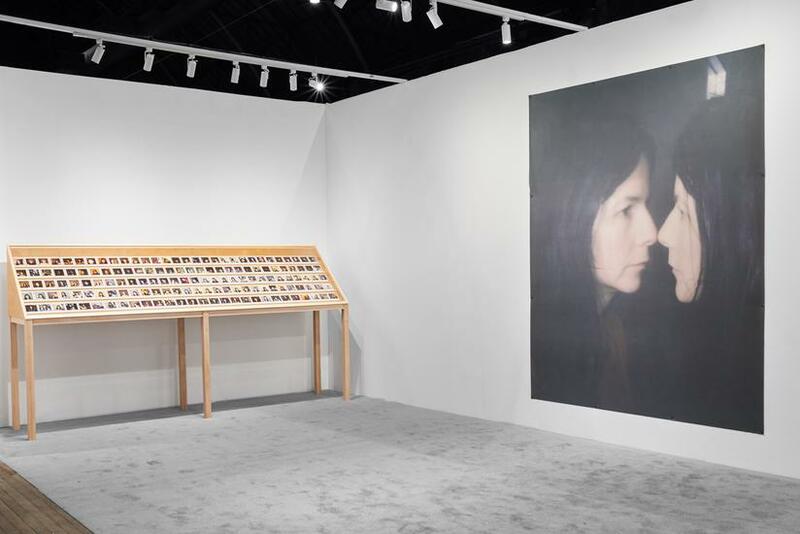 Tanya Bonakdar Gallery is pleased to announce a solo presentation at the ADAA Art Show with renowned London based artist Gillian Wearing. This will represent the artist's first solo presentation in New York since 2011 for Wearing, who won the Turner Prize in 1997, was named a lifetime member of the Royal Academy in 2007 and Officer of the Order of the British Empire in 2011. 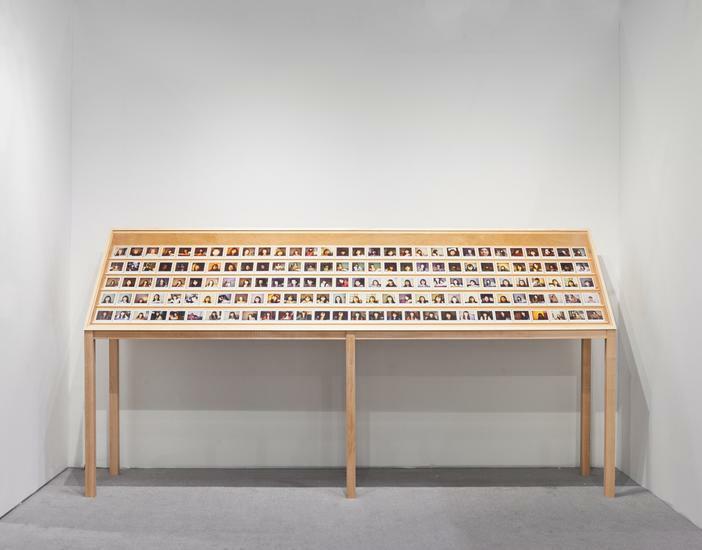 The ADAA solo booth presentation will serve as the debut of a major new body of work for the artist, entitled My Polaroid Years, comprised of almost 150 original Polaroids from her personal archive dated from 1988 – 2005. This highly significant work is accompanied by a series of individual Polaroids showing the artist engaging with masks. Similarly culled from Wearing’s archive, these works capture intimate moments between the artist, the camera and the mask – an object well known as critical to her practice. Also on view is a new large format photographic work inspired by these early images. 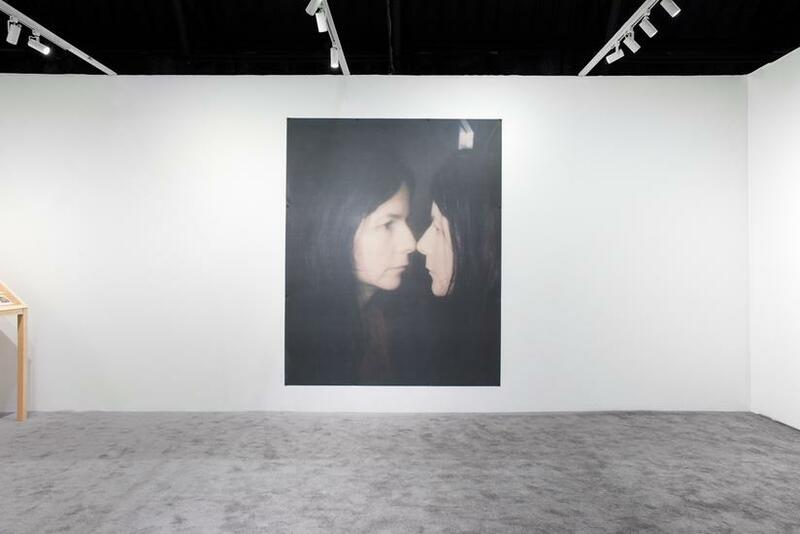 Printed on canvas, this new work depicts Wearing reenacting a moment captured in the Polaroid images nearby. The work contemplates the performative nature of the self-portrait as it shifts between public and private, fiction and documentary, raw improvisation and carefully staged. 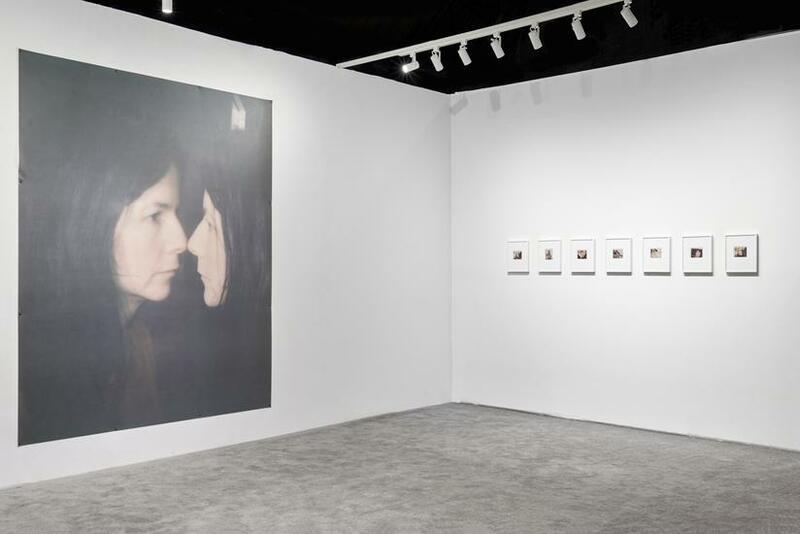 For the past two decades, Wearing has explored issues of identity, self-examination and public perception through the use of portraiture in both photography and video. From renowned series such as Signs that say what you want them to say and not Signs that say what someone else wants you to say, to the Family Album series of self portraits of the artist wearing masks disguised as her family members, Wearing explores these important issues through a lens of personal history, and a unique and compelling psychological resonance persists throughout. In looking back to these early Polaroids, which resemble early ‘selfies’, Wearing continues to question her own identity and self-awareness. I started taking self-portrait Polaroids in the late 80’s. They were not intended for anyone to see but myself. They are like early versions of ‘selfies’. I was presenting myself in a lot of the images unaware of the mess in my room or the location I was shooting in. This unawareness was one of the reasons I became interested in looking at the photographs again. I was looking at myself as if I was studying someone else. I rediscovered all these images and was trying to decipher who this person was. There is a similarity in my posing and the poses of a lot of young women you now find on Instagram and Twitter, etc. Whilst thinking we are, or wish to be 'unique' we find that the collective resemble one another in poses that are learned and/or copied from an early age. Recent solo exhibitions include Instituto Valenciano de Arte Moderno, Valencia, Spain; Whitechapel Gallery, London, travelled to K20, Kunstsammlung Nordrhein-Westfalen, Dusseldorf and Pinakothek der Moderne, Museum Brandhorst, Munich, 2012; A Real Birmingham Family, Ikon Gallery, Birmingham, 2011; Confessions: Portraits, vidéos, Musée Rodin, Paris, 2009; Living Proof, ACCA, Australian Centre for Contemporary Art, Melbourne, 2006. Wearing’s work is in the collections of Tate, London, The Museum of Modern Art, New York, The Solomon R. Guggenheim Museum, New York, Hirshhorn Museum and Sculpture Garden, Washington, DC, The Irish Museum of Modern Art, Dublin, Los Angeles County Museum of Art, Albright-Knox Art Gallery, Buffalo, amongst others worldwide.